(KFOR) A former state lawmaker who is facing dozens of felony charges has waived his right to a preliminary hearing. 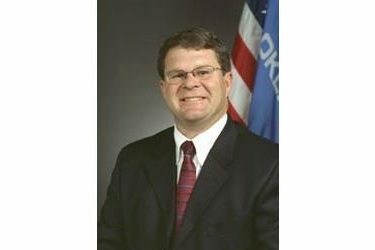 In May, Oklahoma County District Attorney David Prater filed 44 charges against Gus Blackwell, including perjury and embezzlement. Prosecutors allege Blackwell was claiming mileage on the taxpayer’s dime while also getting campaign contributions to cover the cost. The former leader of the House of Representatives is also under scrutiny by the Oklahoma Ethics Commission, who filed a lawsuit against Blackwell for more than $10,000. In May, Blackwell’s attorney said his client has cooperated with authorities and is an innocent man.